I don’t know about you ladies, but most of my dinner meals typical start with me tidying up the kitchen. 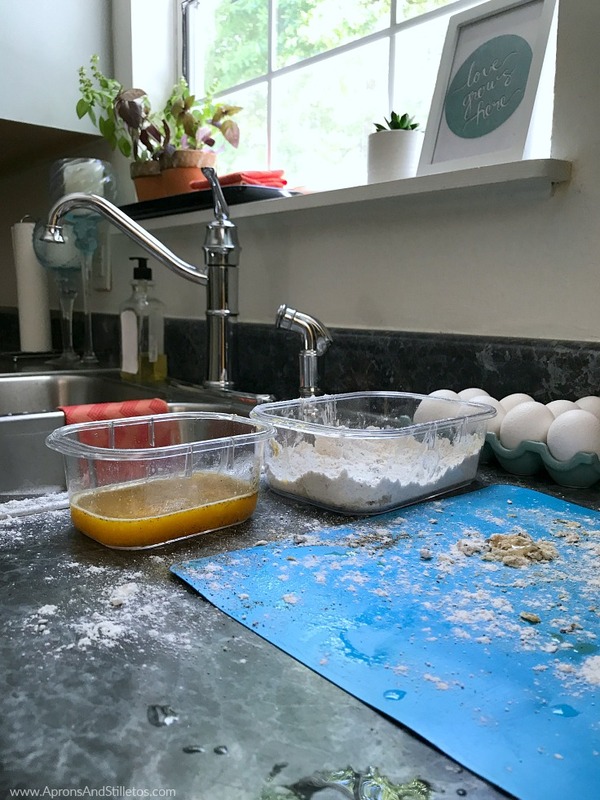 The sink and counters are the central space for getting meals cooked and I like them to be clear before I start cooking. If dinner is not pre-cooked during our meal prep on Sunday, I usually start cooking around noon. By this time, the sink has a few dishes in it from breakfast. I load the dishwasher safe stuff and hand wash the others. Once the dishes are washed I quickly wipe the counters and get started on dinner. 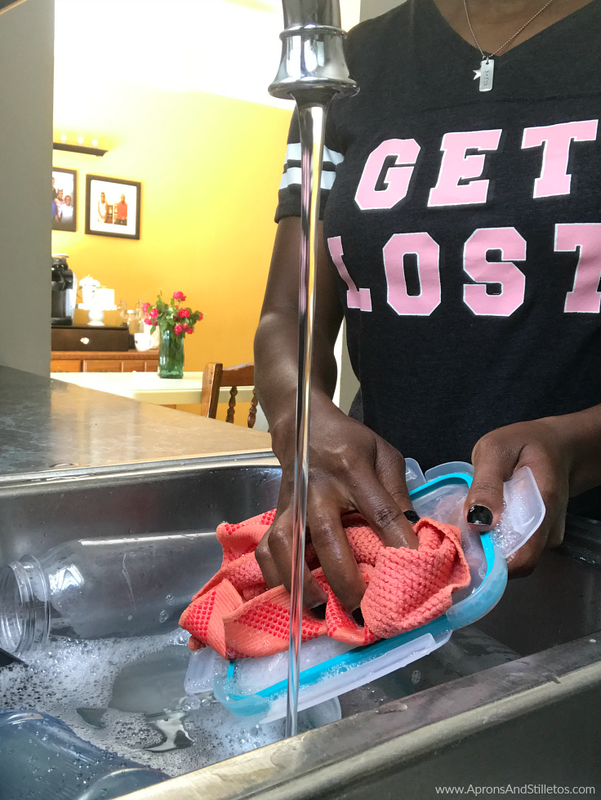 Getting my dishes and counters clean is way easier now that I’ve stocked up on Scotch-Brite® Scrubbing Dish Cloths. They have tiny scrubbing dots on one side that makes srubbbing tough stains easier. The scrubbing dots are tough enough to remove food, but do not scratch surfaces like my chrome faucet. 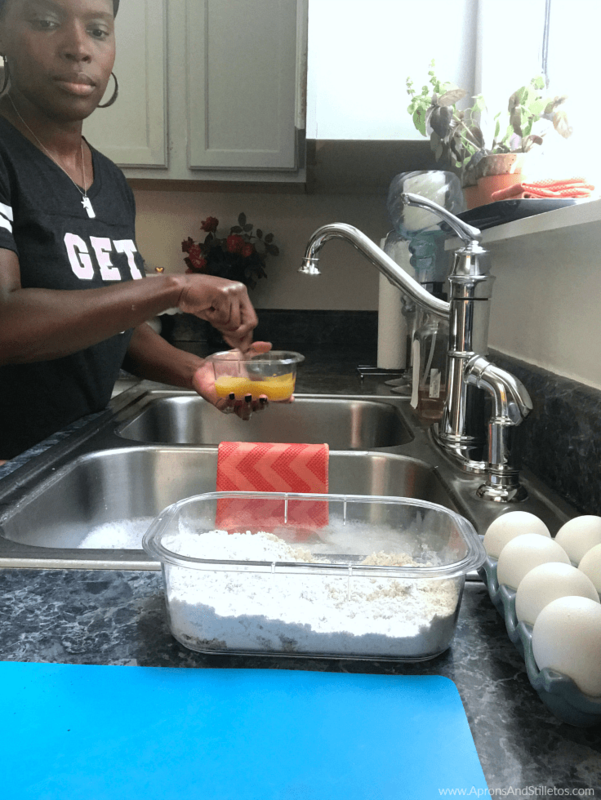 The other side of the dish cloth is soft and perfect for washing easy dishes and counters. When my kitchen is clean I feel more inspired to cook. 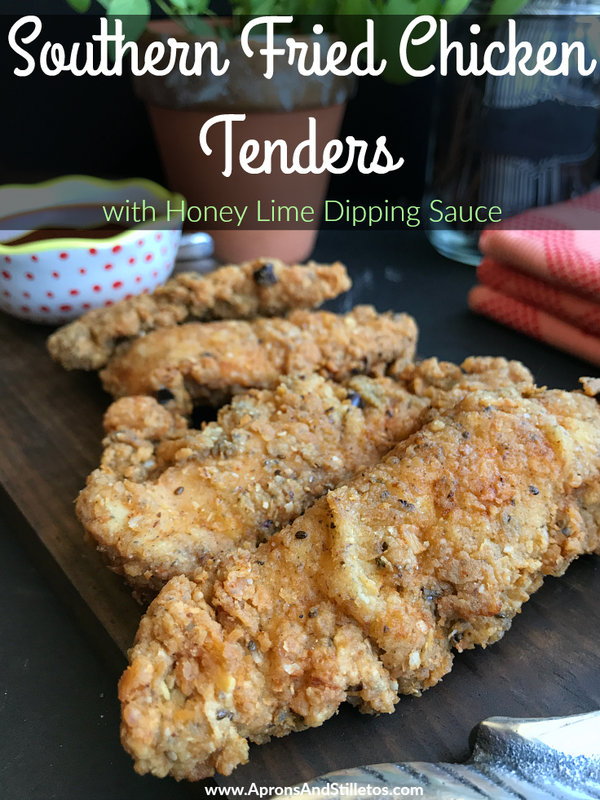 For dinner today I’m making Crispy Southern Fried Chicken Tenders and a Lime Honey BBQ dipping sauce. Before I begin cooking, I set up both sinks filled 1/3 the way with hot soapy water. One side is for wiping surfaces and the other for soaking dishes. As I prep, I can wipe the counters or place dishes in the hot water to soak. I hope y’all are taking notes because managing a kitchen all day every day can become stressful without a strategy. I let dishes soak while I’m getting the food going to make them easier to clean after cooking. To make my Crispy Southern Fried Chicken Tenders and a Honey Lime dipping sauce you’ll need the following ingredients. 1. Season the chicken breast with 1/2 tsp. of salt, pepper & garlic powder. In a medium bowl, mix flour, breadcrumb and remaining salt, pepper & garlic powder in a small bowl. 3. 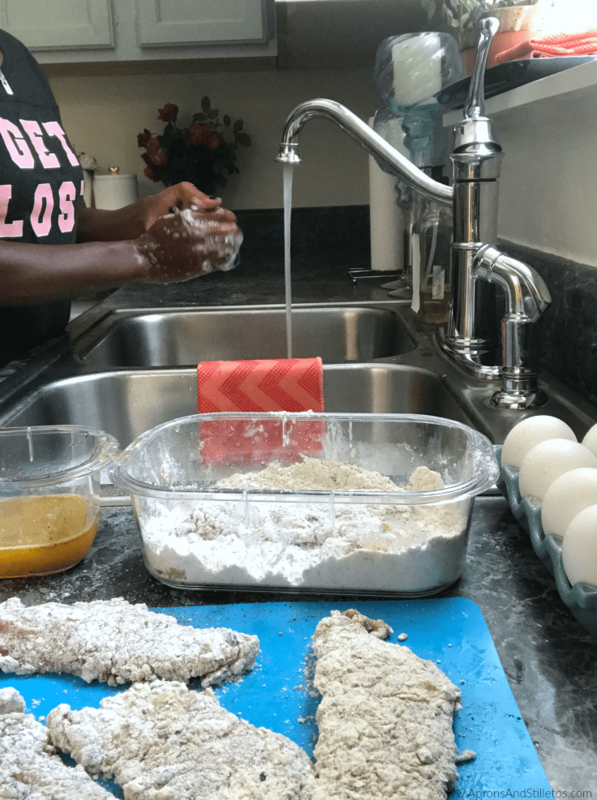 Dip the chicken into the egg wash and then into the flour. 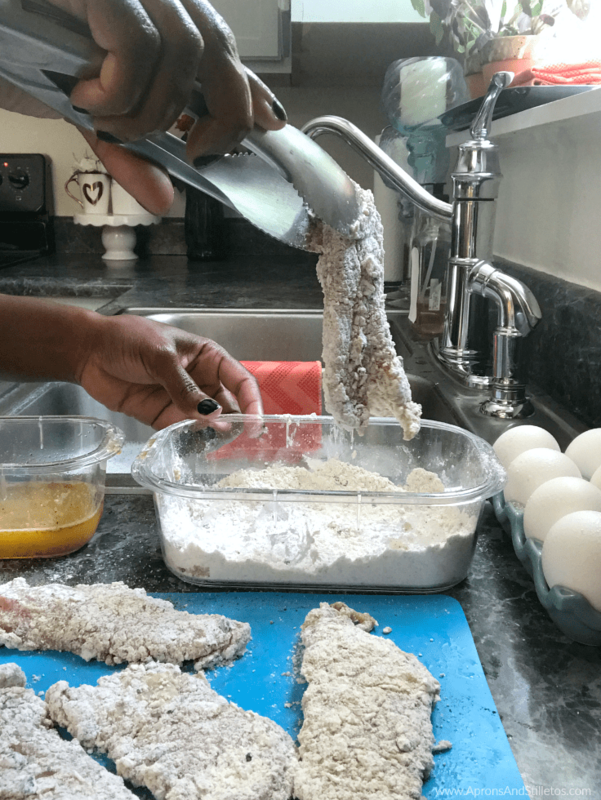 Coat each chicken strip completely with flour and set aside. At this point I move my coated chicken over to the stove area and turn my pot of cooking oil on medium heat. While that heats up, I wash my hands, the dishes and wipe the counter. 4. Next, I fry the strips on each side for about 7 minutes until golden brown. Once they are cooked, I transfer them to a plate with a paper towel to cool. While they cool I make a quick dipping sauce. 1. Mix all of the ingredients together in a small bowl. 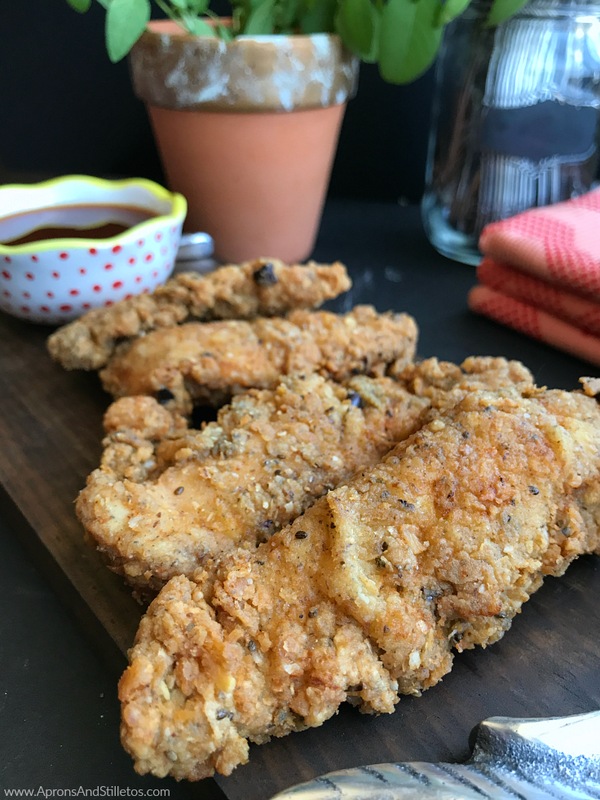 Each of my chicken strips cook up super tender and the crispy coating just soaks up the dipping sauce. 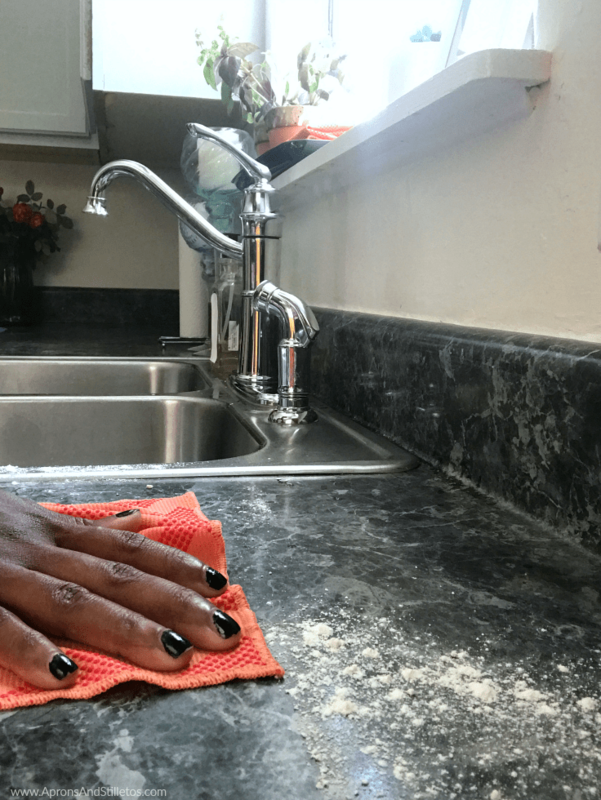 If you’ve been feeling a little uninspired by your kitchen, add a pop of color with the new Scotch-Brite® Scrubbing Dish Cloths with dual sided cleaning capabilities. They are available at Kroger on the cleaning aisle and are sold as 2-packs for $5.49 or single packs for $2.99. They come in the colors navy, tan, gray and mint plus, with this coupon you can save $1 off when you by two packs. Before you go enter the Scotch-Brite™ Scrubstakes here for a chance to win a $20,000 kitchen makeover. All you have to do is enter your contact info and choose a team to enter. Of course you know that I’m rooting for #teamdishcloth. Yummmmmy! Looks great and those towels are pretty too. Those chicken tenders look so delicious right now! These chicken tenders look delicious. I used this method to prepare mine at home as well. I love mine crispy with fries. Thanks for sharing. These chicken tenders look like they are packed full of flavor. They would be perfect for enjoying while watching sports on television. First, I am a huge snapware fan love there glass option. Second, I need tp try the Scotch Brite towels especially for our back porch table. AND then that dip will be on the menu…sounds scrumptious. I smell chicken! 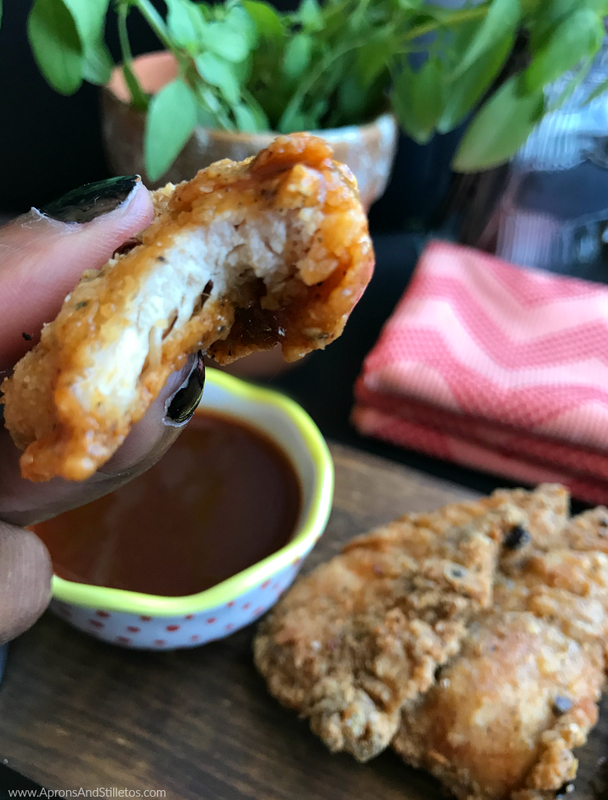 i love anything that has chicken in it and l live for homemade chicken tenders! 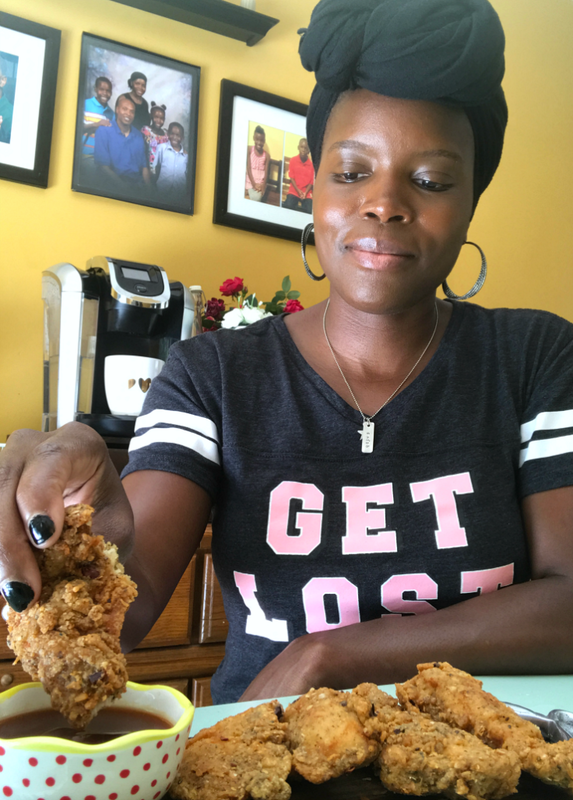 That is exactly how i make them and my children love them… will have to try the honey dipping sauce recipe with them the next time i cook them… which will be tonight because they are so easy to make… the hardest part is cleaning up the mess with the flour! I love chicken tenders! I want to try these so badly. I be tmy hubs would love them too! OH my goodness. 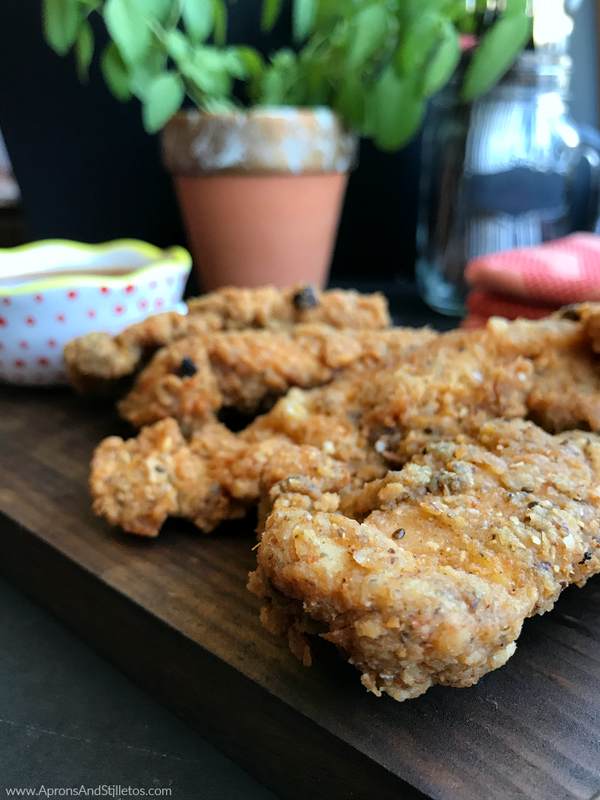 I love the idea of making these southern fried chicken tenders at home. They look delicious and I know the family would love to eat them up! Now this is a delicious sounding chicken tender recipe. I think I'd like to try making some with some homemade fries to go along with them. Oh my gosh, that chicken looks so mouthwatering right now! 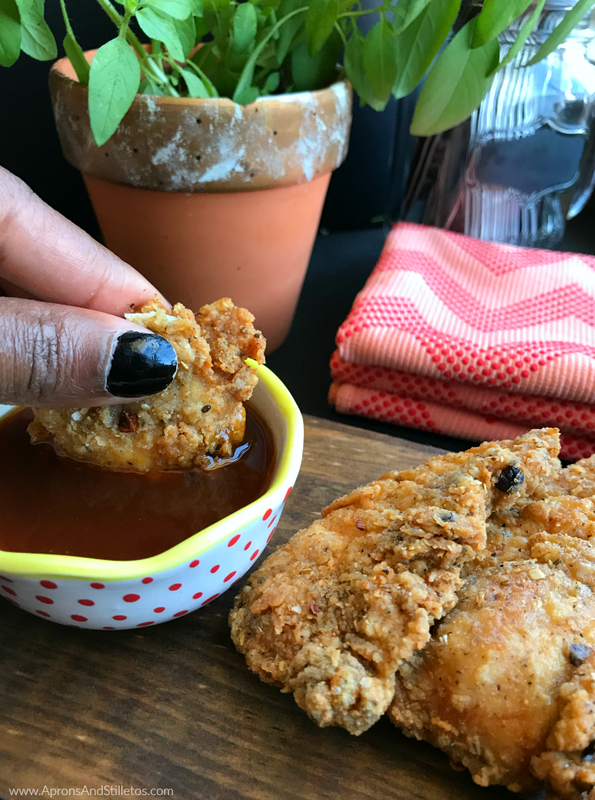 Fried chicken is one of my faves. And it doesn't help that I'm literally starving right now 😉 lol Thank you for sharing this recipe. I'll have to try it out soon!